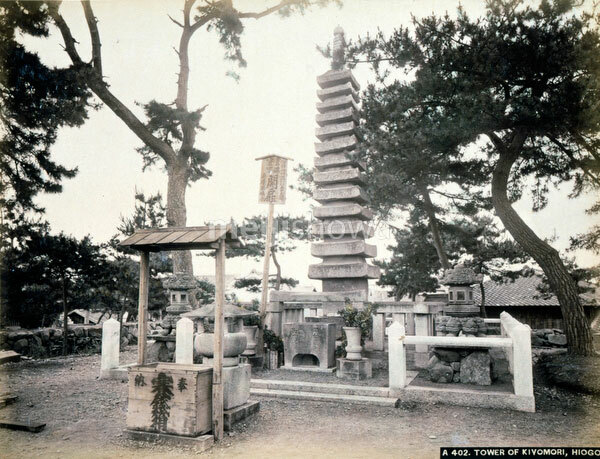 Kiyomorizuka (清盛塚) is a thirteen-storied 8.5 meter tall stone pagoda in Hyogo, Kobe. Built in 1286, it commerates Taira no Kiyomori (平清盛). Taira no Kiyomori was a general of the late Heian Period (794-1185) who established the first samurai-dominated administrative government in Japan. Taira no Kiyomori is the main character in the Tale of Heike (平家物語, Heike Monogatari).